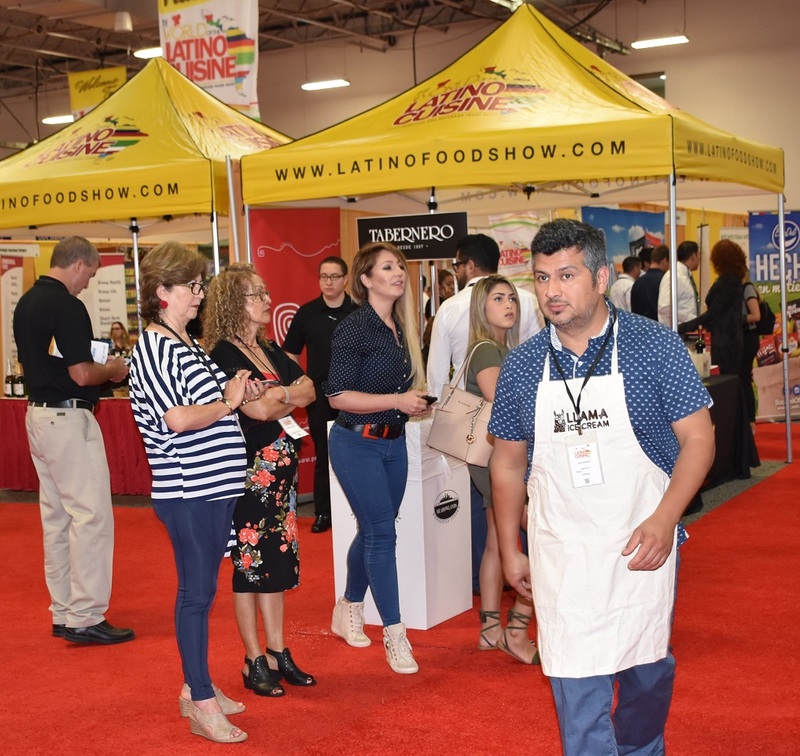 YOU are invited to Exhibit at the 2019 Latino Food & Beverage Show, September 24-25, 2019! 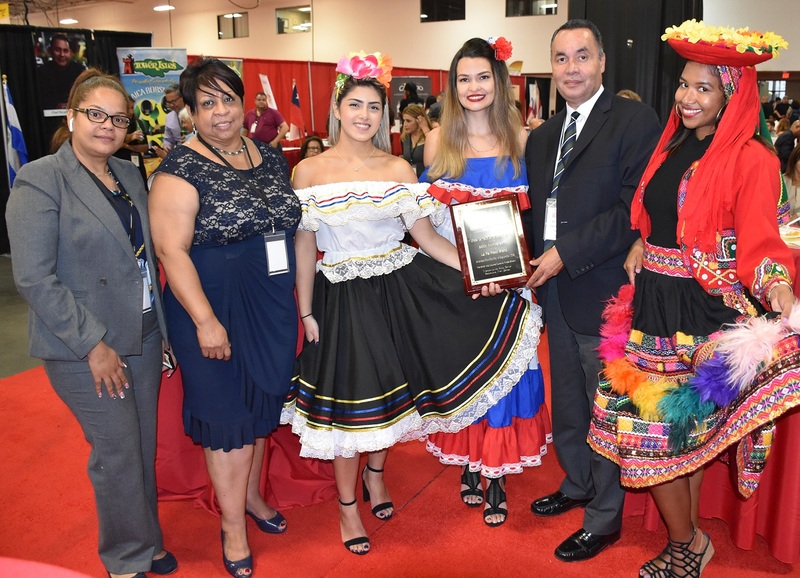 The show is set to go on September 24-25, 2019, at the Meadowlands Expo Center in New Jersey. This is the sixth edition of the trade show. 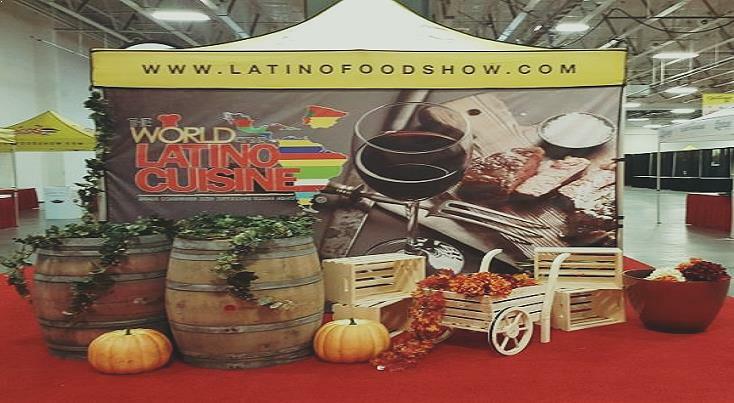 The Latino Food & Beverage Trade Show convenes under one roof both domestic and international food & beverage producers. 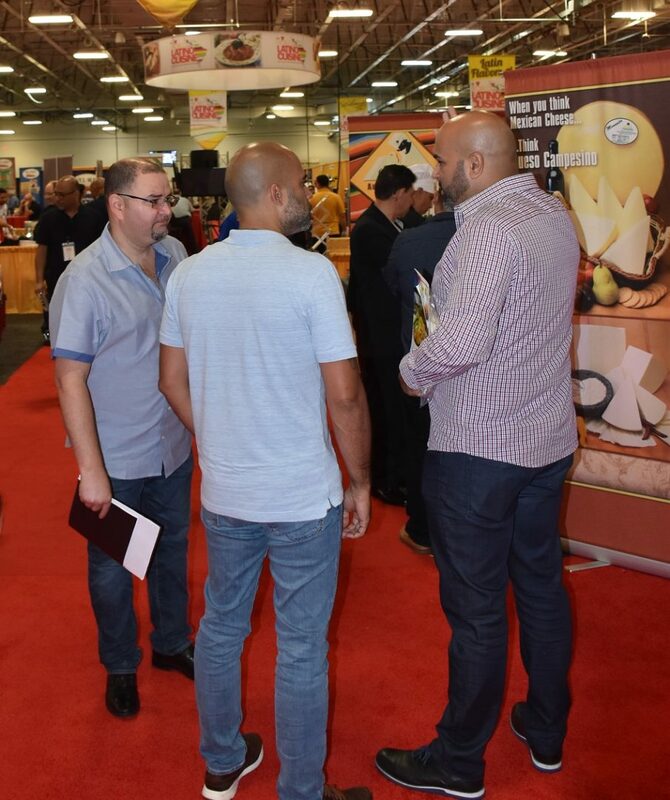 Foreign producers participate in the show to secure opportunities to open doors to the mainstream U.S. market, or grow their sales if already distributing products here. Local producers and distributors participate for two reasons, to solidify their presence on shelves, and to identify new products and seek new opportunities. The U.S. Latino food and beverage market is close to $200 billion strong, and continues to grow at a minimum of four percent per year. Savvy marketers have come to understand Latinos of all generations–baby boomers, Generation X, Millennials, Gen Z– are smart and loyal consumers worth every penny invested in them. Exhibitors are encourage to register early. 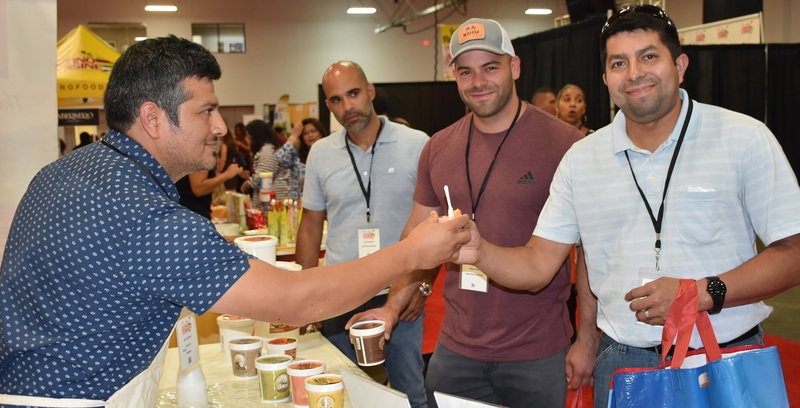 “I appreciate the fact we are celebrating our great food products—our own brands—this is the only show that does that”, said Nicolás Sprinter, an attendee who hails from Argentina. Mary Kate Naatus, Dean of Business at Saint Peter’s University commented, “I attended with my colleague Scott Keller from Saint Peter’s University, and we absolutely loved it. We made many new friends and professional contacts, and I even tried eating grasshoppers. Congrats on a very successful event, and I would love to be involved in a future event”. 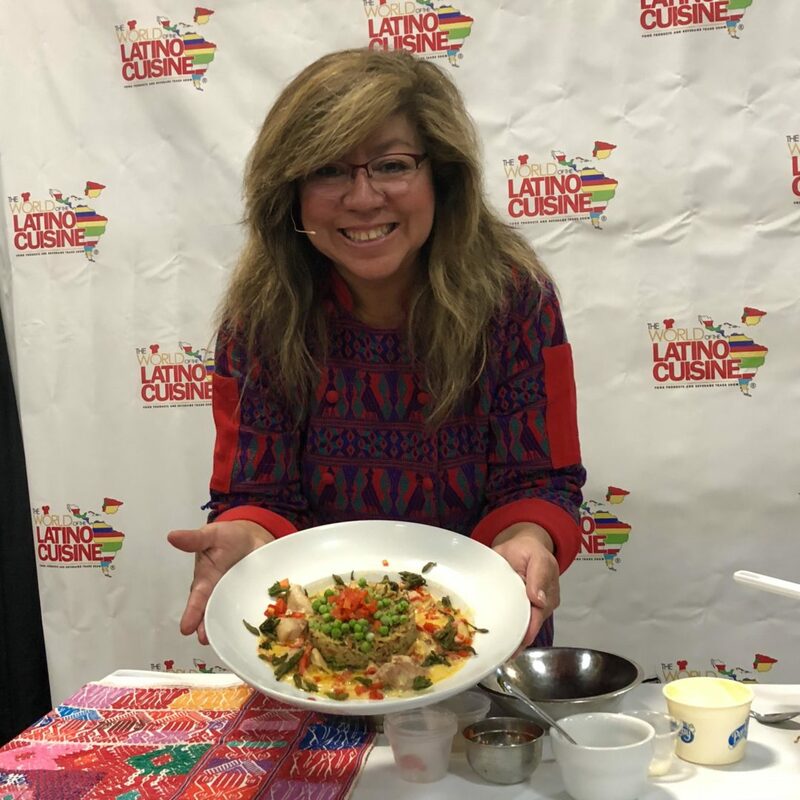 Julie Rodriguez, an attendee from the great state of Florida: “You need to bring the Latino Cuisine Show to Orlando, I will be most happy to work with you. This is great for our business people”. 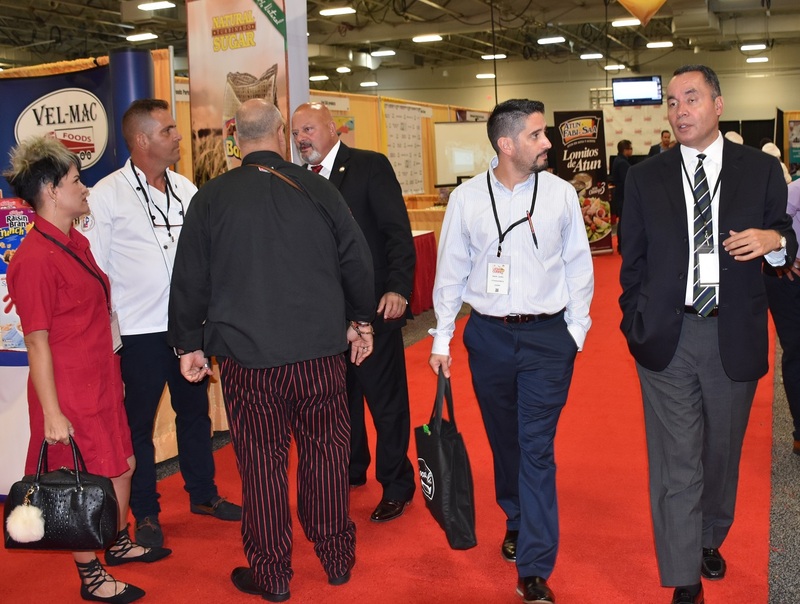 We have a great 2019 show coming up, with a redesigned exhibit floor, excellent educational sessions, and dynamic culinary demonstrations. Register today! Exhibit your best and guarantee the best! Expose your product to an international audience. 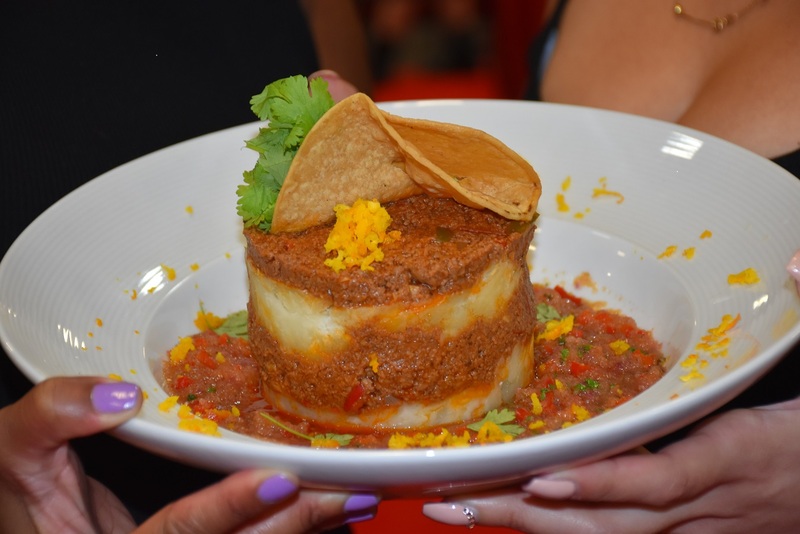 Explore the hidden wonders of the Latino Cuisine. 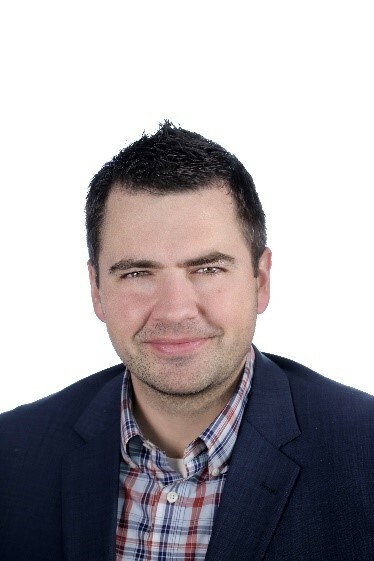 Josh Ray will moderate an expert panel who will discuss the latest innovations in e-Commerce. Selling on Amazon? How about Jet.com, and Alibaba? Online grocery sales? What’s the next platform? How can independent grocers and bodegueros take advantage of e-Commerce? Josh Ray is a veteran in the tech industry with a unique background in logistics, marketing, and entrepreneurship – three key areas to eCommerce success. He has a passion for helping small business owners and loves supporting independent grocers successfully launch, market, and operate online grocery programs”. 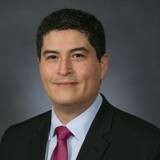 A workshop presented by noted columnist, CEO, Latino wealth advisor, and author Aquiles Larrea, Jr.
you need to work with to take your business to the next level, towards its maximum potential. This is an insightful workshop and introduction to what Aquiles can offer to business owners who want to be successful and want more from their businesses. You will walk away with value-added ideas to take back and implement in your enterprise that same day! Independent, community grocers are facing a fast-changing world of store technology. At the heart of a grocers’ ability to manage their inventory and purchasing is smart point of sale systems that are easy to install, supported by online customer service, and integrated with all the stores vendors catalogs, pricing and deals. With the right tools in hand, and the support of people that can help transition stores to the next level of efficiency, store owners’ will gain needed knowledge and perspective on their store financial performance with information gained from mining the data stored in their own point of sale systems combined with integrated vendor data. Ray Steele, long time educator and consultant to independent retailers, will host a panel discussion about the improvements in profitability that can be found when modern technology solutions are installed in independent community stores. Experts from EZB Solutions and Genius Central Systems, Inc., providers of affordable technology solutions to independent grocery stores for over 18 years, will participate in the panel. 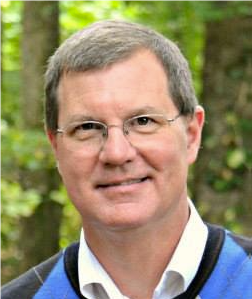 Ray Steele is a senior executive with over 40 years in Supply Chain technology leadership, consulting, and customer service. His work in the Natural Products industry began in 2000, where he has spent time working with some of the most recognizable names in the industry including Tree of Life, KeHE, ECRS, Living Naturally / Genius Central, eCom, and more. Ray has been a featured speaker in many industry conferences and webinars, delivering complex technical information that is easy to understand and implement. The Food and Drug Administration (FDA) is responsible for assuring that foods sold in the United States are safe, wholesome and properly labeled. This applies to foods produced domestically, as well as foods from foreign countries. The Federal Food, Drug, and Cosmetic Act (FD&C Act) and the Fair Packaging and Labeling Act are the Federal laws governing food products under FDA’s jurisdiction. The Nutrition Labeling and Education Act (NLEA), which amended the FD&C Act requires most foods to bear nutrition labeling and requires food labels that bear nutrient content claims and certain health messages to comply with specific requirements. Although final regulations have been established and are reflected in this guidance, regulations are frequently changed. It is the responsibility for the food industry to remain current with the legal requirements for food labeling. All new regulations are published in the Federal Register (FR) prior to their effective date and compiled annually in Title 21 of the Code of Federal Regulations (CFR). Dr. Dilcia Granville is the Senior Public Affairs for the US Food and Drug Administration (FDA). She is also an accomplished author and inventor with over 28 years of experience in the field of disease prevention, public health, and education. She is fellow member of the New York Academy of Medicine. 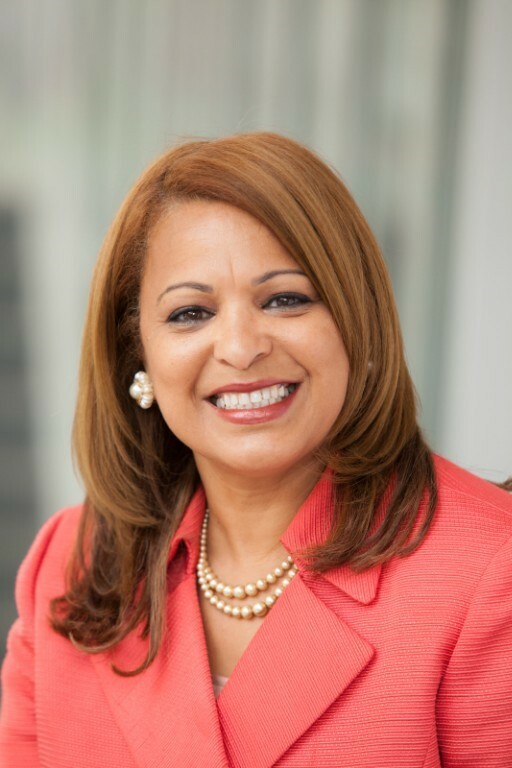 She is the president of Dip and See, LLC and the Latino Social Work Coalition; and Vice-president of the National Association of Puerto Rican and Hispanic Social Workers. Also, she is an Advisory Board for the American Diabetes Association, the Greater New York; and Chair of the Community Advisory Board of Northwell Health COPDs and the Diabetes PCORI Study. She is an entrepreneur and invented the only Dip and See sugar indicator that measures sugar in beverages; and is the author of the book widely seek by entrepreneurs and inventors, “Invention: The New Currency of the 21st Century”. Dr. Granville is the recipient of many Awards and she has been widely recognized for her outstanding contribution to the health and human services. She received her Doctorate and Master degree from Adelphi University and her baccalaureate degree on Health Management from Queens College, New York. The expert presenter will discuss who Gen Y (Millennials) are in terms of characteristics -demographic, market preferences, and purchasing habits. Ms. Llerena will also review how Millennials respond to traditional media with particular emphasis on Hispanic Millennials. She will then review social media strategies to target this subgroup of the market effectively and efficiently. Time will be allotted for questions from the audience. You want to sell–or increase your sales-to Millennials? Cannot miss this session! Vicky Llerena is the CEO of Social Vibes Media, a digital marketing agency focused on helping small businesses increase their brand presence. She brings with her over ten years of experience having worked at Univision WXTV-41 and PRNewswire. Vicky was named Top 25 Brand Builder by Leading Women Entrepreneur in 2017. She works with organizations, such as Rising Tide Capital, Statewide Hispanic Chamber of Commerce of NJ, Fownders, and Small Business Development Center to teach entrepreneurs how to obtain online customers through social media. Vicky was featured in NJBiz, Huffington Post, CEO Blog Nation, and many more media outlets. 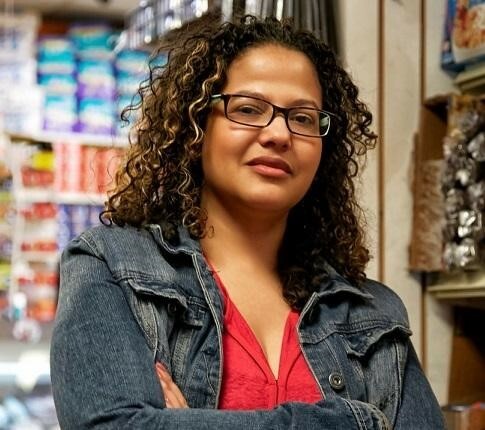 Ms. Evelyn Brito is currently the writer and executive producer of Bodega Makeover. This series is similar to the Extreme Makeover Home Edition, and is a docu-reality web series providing store improvements and healthy eating options for local neighborhoods. The host will meet with the business owner to discuss the issues the bodega is facing, act as a consultant and bring community health experts and designers in the process. Bodega owners/Managers: Dot Not miss this! WHEN: Wednesday, September 19, 2018, 10:00 a.m.
WHO SHOULD ATTEND: Bodega owners/Managers and those interested in opening any kind of convenience store. Professors at the Rutgers Food Innovation Center will present an interactive session which will allow time for instructors to answer questions from the audience, and encourage audience participation for exchange of “best practices” advice on successful implementation of these programs in a food processing environment. WHEN: Thursday, September 20, 2018 at 9:30 a.m.
WHO SHOULD ATTEND: This course is for anyone who handles food or oversees food handlers, or works in a food processing facility, especially FDA-inspected. To Register, you can call Polly Pepper 856-459-1900 ext. 4521 or email her at pp559@njaes.rutgers.edu. You can also visit their website: foodinnovation.rutgers.edu. 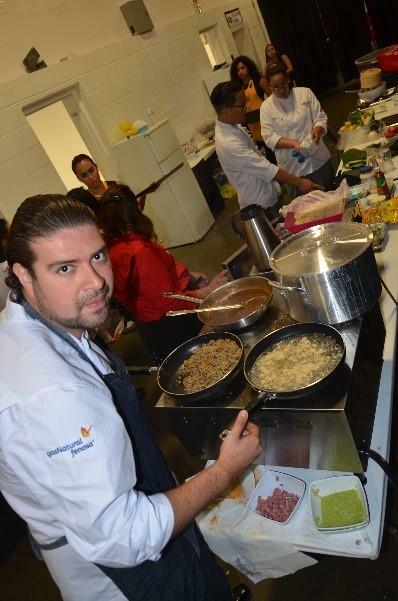 The Latino cuisine is very diverse and very rich in talent. 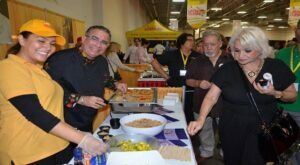 Annually, the trade show features Culinary Demonstrations (“Showcooking”) by international celebrity chefs. In the past, we have invited chefs from Perú, Mexico, Spain, Puerto Rico, Dominican Republic, El Salvador, Ecuador, Guatemala, and Costa Rica. In 2017, we had the participation of a major delegation from the Cuba Culinary Federation, led by Chef Eddy Fernández Monte, its president. These demonstrations are a major feature of the event, and are attended by large audiences. 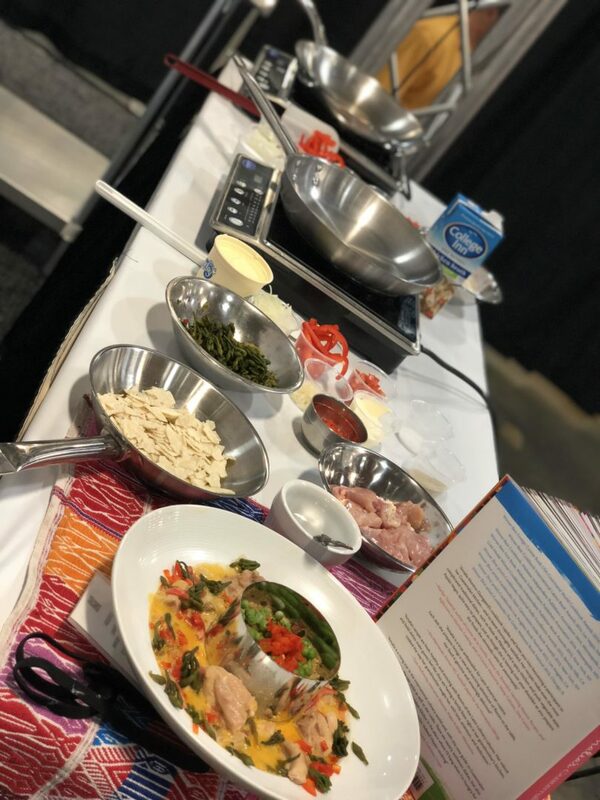 The attendees pick up new recipes and tips on how to prepare a myriad of delicious and healthy dishes, from ceviche to paella. Culinary Science students assist the invited chefs, gaining valuable experience and earning scholarships as part of their participation. Rising to the level of executive chef in the demanding restaurant circles of New York City is difficult. 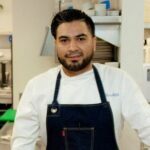 But rising through the ranks of restaurants such as Le Benardin, Astrid y Gaston, American Cut, Veritas and La Mar, Diego met that challenge and excelled as he developed his craft. Working hand in hand with internationally recognized chefs like Jean- Georges Vongerichten, Gaston Acurio, Marc Forgione, Eric Ripert and Craig Shelton expanded Diego’s range from his family heritage of Peruvian cooking greats to encompass other cuisines. Knowing that experience only can limit range, Diego attended the Art Institute of New York City and continues his professional development by taking part in workshops and classes. 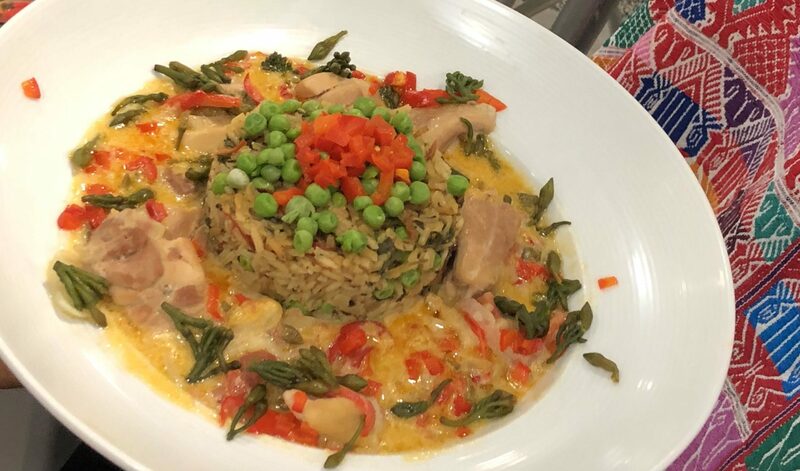 A great representative of the rich Peruvian cuisine, Chef Aranibar has a long history of working a very prestigious culinary establishments in the U.S. and abroad. He was a manager with the Nikkei restaurant operations in Latin America and the Caribbean, assuming major responsibilities with the Melia and Hilton chains, running their F&B departments. He went on to further his gastronomic studies in Spain, and in New York he founded his own culinary consulting firm, Hospitality Solutions and Creators. Award-winning and bestselling author Amalia Moreno-Damgaard is a Guatemalan-American chef born and raised in Guatemala City. 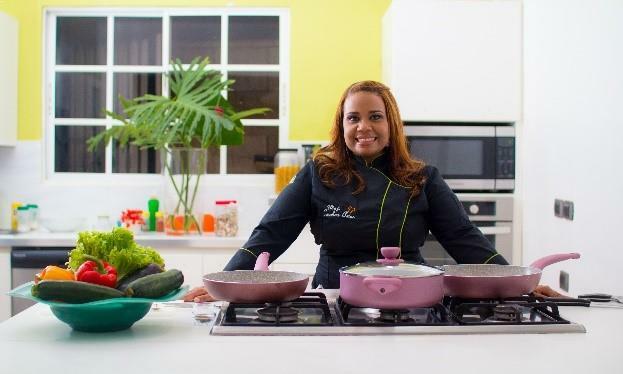 Amalia is a Latin food and culture writer, recipe developer, cultural strategist, consultant and founder of Amalia, LLC, a business designed to help people develop a better understanding and appreciation of Latin cultures through healthy gourmet cuisine. She is a graduate of Le Cordon Bleu and is currently writing her second book. 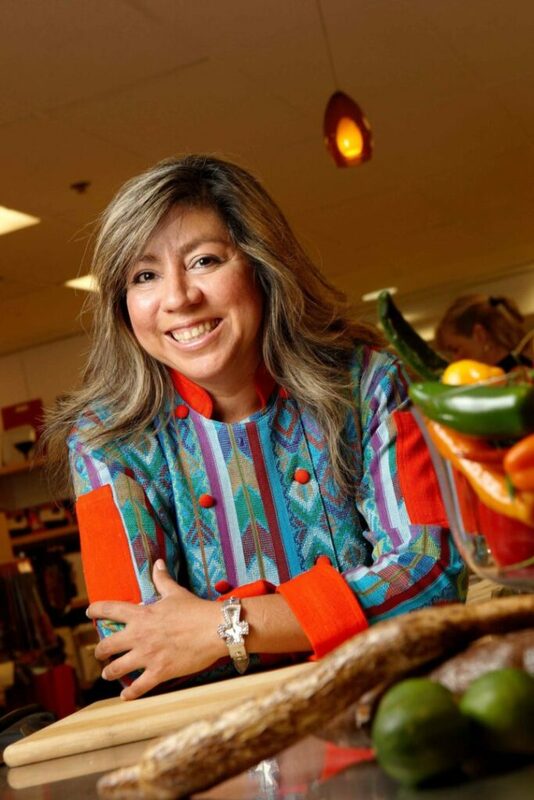 Her first book, Amalia’s Guatemalan Kitchen Gourmet Cuisine with a Cultural Flair, has won 9 international awards, including Best Foreign Cuisine Book USA by Gourmand World Cookbooks from Paris, France. Amalia is a bilingual contributing writer for Guatemala’s Revue Magazine and Guatemala’s leading newspaper Siglo21, and for Latino American Today, a Twin Cities publication.Prior to this, Amalia had an executive career in international banking and earned a Masters in International Business and Culture from St. Louis University and also co-founded Women Entrepreneurs of Minnesota, a nonprofit in the Twin Cities that fosters women entrepreneurship through networking and education. 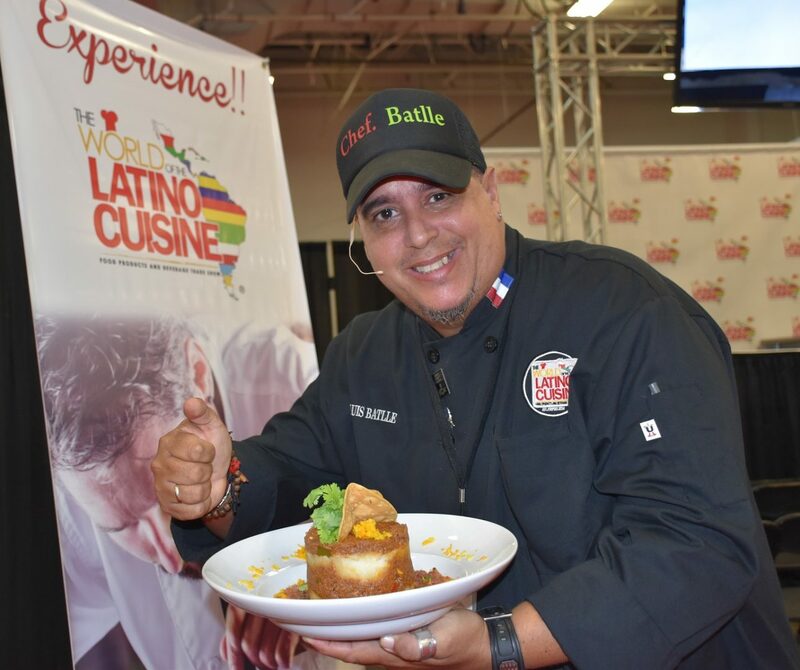 Recognized as one of the most important and influential contemporary Cuban cuisine experts, Chef Battle brings his considerable talents to our show. 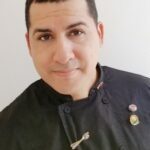 He is Executive Chef at the award-wining La Calesa Restaurant in Old Havana, and is a member of the board of directors of the Federación Culinaria de Cuba. 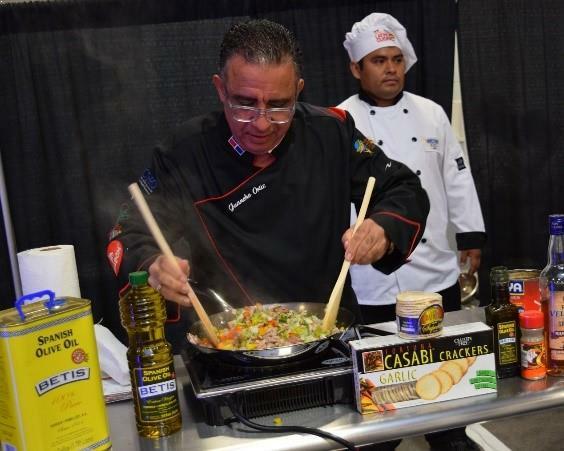 Chef Battle is a fixture on Cuba’s TV food shows, and his famous vocalizations of Italian arias—while showcooking—makes for a very special educational and entertaining moment. Cuban cuisine anyone? Do not miss this part of the show! 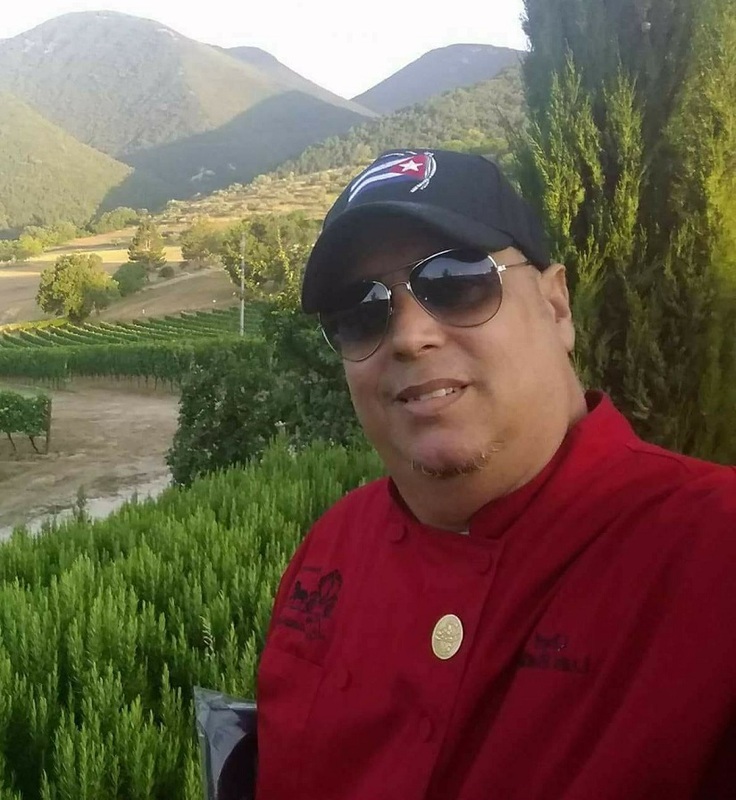 An experienced chef, master of the Cuban cuisine, Chef Trasobares graduated in 1989 from Cuba’ School of Hotel and Tourism Management, and soon started working his way at international kitchens at the most prestigious hotels in Havana. In 2005 he completed his studies in culinary science and started his trajectory working as an expert culinary master of international dishes. In 2014, he moved to the United States, working as executive chefs at various establishments. He works both as a chef and as a consultant. 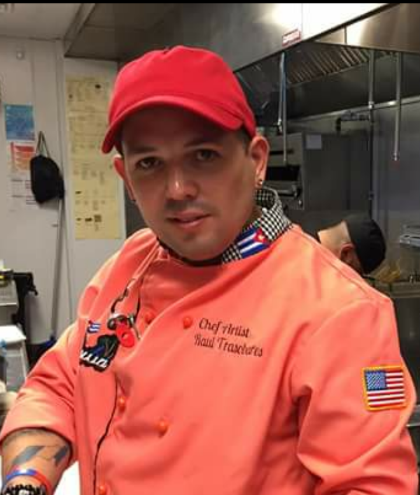 Currently, he’s the executive chef at La Trova Café, a quaint restaurant serving classical Cuban dishes with a modern flavor in North Bergen. 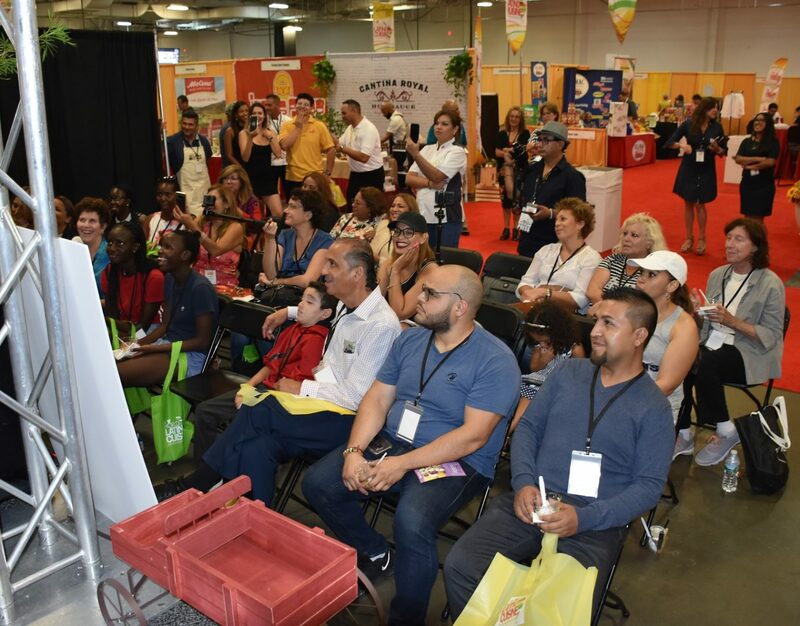 Exhibitors will have access to both international and domestic vendors; domestic producers meeting foreign buyers, international producers meeting U.S. buyers. Face to face meetings could be pre-arranged to meet at the show’s venue, or we could provide basic information for you to make arrangements to visit local distributors. Please see attached Show Newsletter and Registration Business Roundtables/Ficha de Inscripción Para Ronda de Negocios. 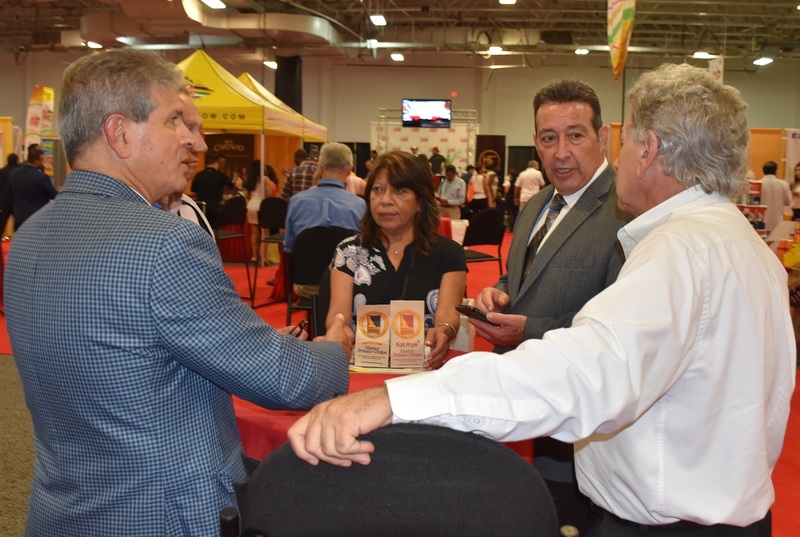 In addition to formal meetings, you will be able to network with your professional colleagues during the show, and at the Latin Food & Wine Festival/Grand Reception which will be held Wednesday, September 19th at the premises. There is no additional cost to participate at this truly unique grand reception.